Chelsea joined the Soil and Water Lab in January of 2012 to study contaminant transport in agroecosystems. She recieved her bachelor's of science in civil and environmental engineering from Tufts University in 2008. For three growing seasons Chelsea hauled, packed, hoed, weeded, and harvested vegetables at Hutchins Organic Farm in Concord, Massachussetts. Eventually Chelsea left New England for a fellowship at the US Environmental Protection Agency in Washington D.C. where she worked on national policy for surface water quality standards. Chelsea has cultivated a combination of on-the-ground work and national policy knowledge that she is excited to apply in her research at Cornell. 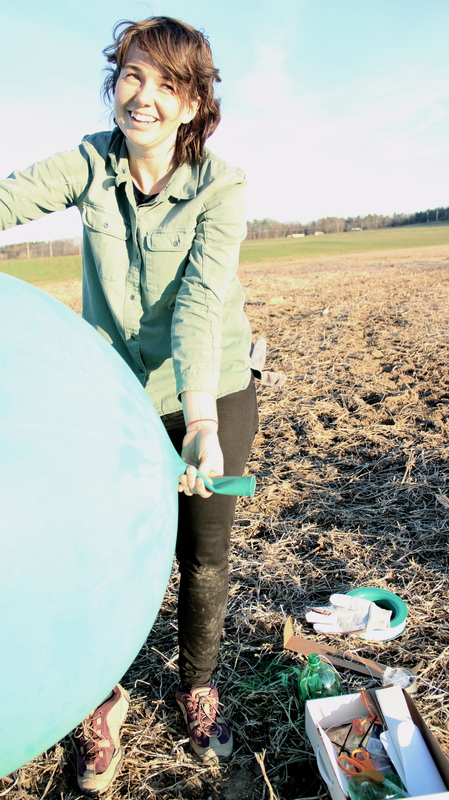 Chelsea is exploring nitrogen cycling in agricultural watersheds through experimental field research and coupled hydrologic-biogeochemical modeling. Experiments to capture N losses via nitrous oxide emissions and nitrate leaching from winter cover crops were completed in Spring 2015. Currently, Chelsea is digging through FORTRAN90 code in an attempt to better represent global N emissions in a land surface model.